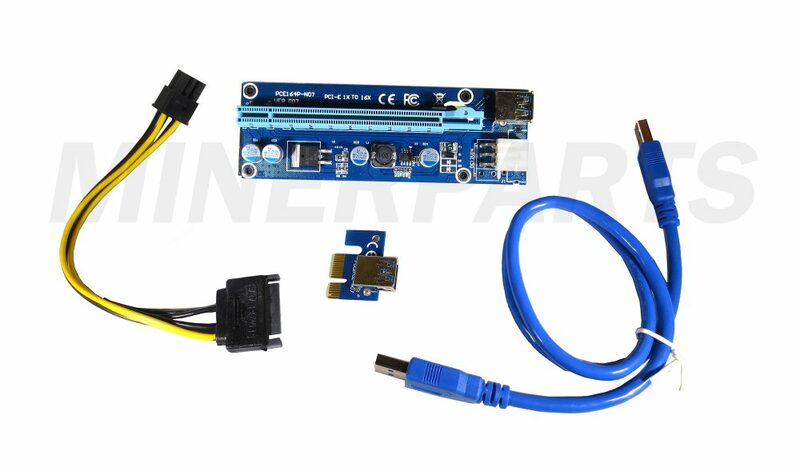 BLUE Version 7 server quality PCI-e Powered Riser with USB 3.0 cable. 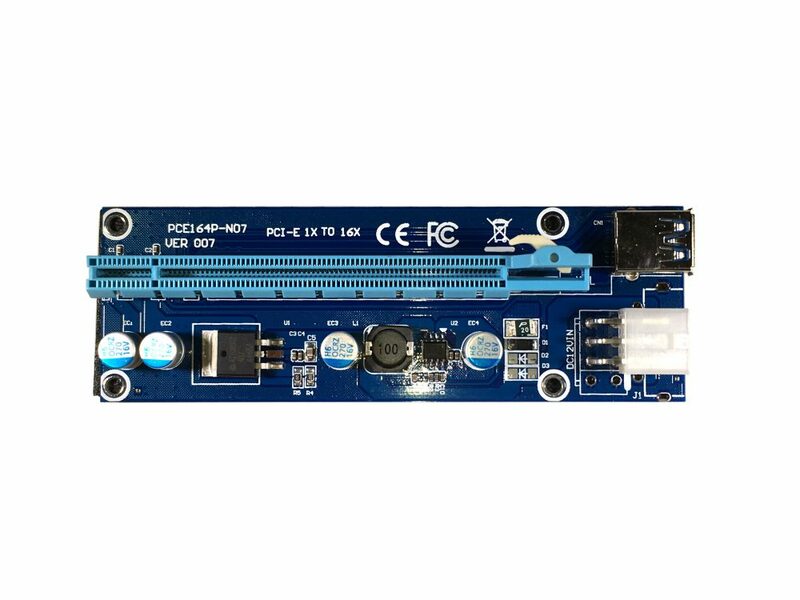 This riser has a 6 PIN PCI-e connection and extra capacitors to handle the high power requirements of modern mining rigs. This listing is for one case of risers. A case includes 100 risers. Advanced version we consider “server quality” powered risers. These have a 6 pin PCI-e connector instead of MOLEX for higher power usage. Brand New in anti-static bag. Just arrived from China. 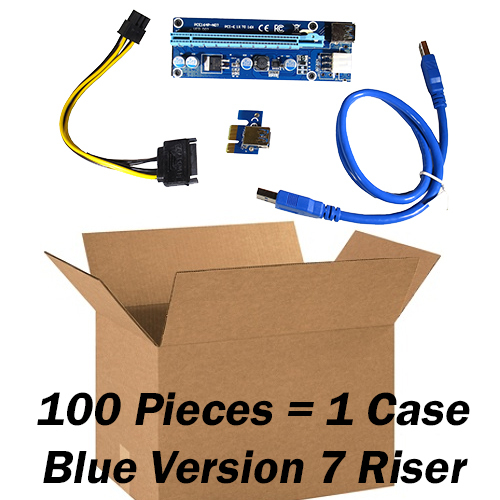 This listing is for one full case of PCIe risers, 100 units. Most recent version 7 of the PCI riser available.